With a new season comes a whole panoply of renewal feelings, but, more importantly, the burning desire to buy new clothes. I don't think anyone is immune to that, and even less so when all you do in life is based on style and fashion. Every major seasonal shift - summer and fall - I come up with a shortlist of brand new things that I want to add to my wardrobe in order to make my old things feel current. With balance always in mind, however, I tend to also do a purge because I hate clutter and I need to make room for the impending acquisitions. 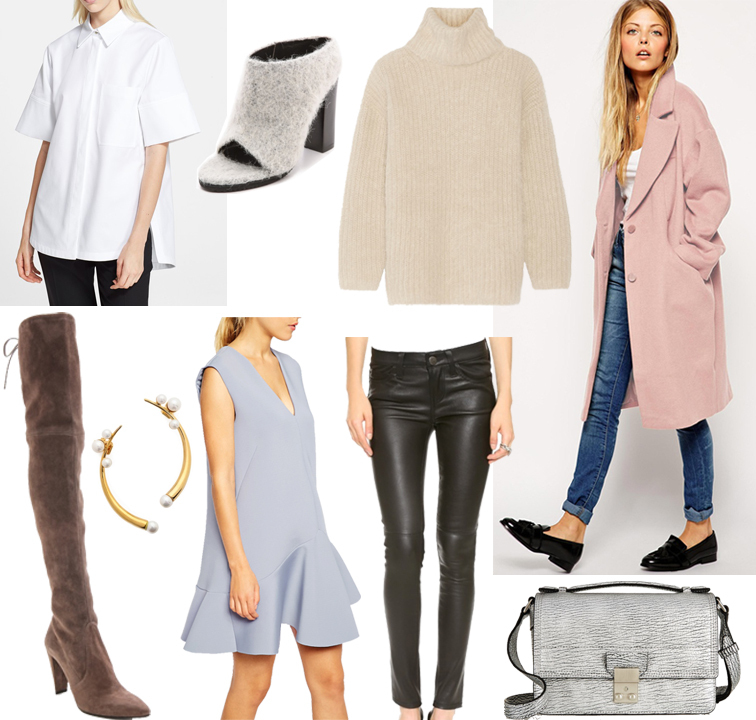 Below are the things I'm coveting this season. What's on your fall wish list? That knit looks so nice. I'd love to have that in my closet. Yes, I agree. I am thinking of all the fabulous clothes for this season. Love your choices! Yes, I do agree. I am thinking of all the fabulous clothes to buy for this season. Love your choices! I really like those items, especially the boots! It's so pretty! How lovely!… nice pastel pieces! Great selection! Your are right , nobody has that kind of immunity :))) Like the cuff and the coat! Love that big chunky sweater! Love the way you update classic and timeless pieces in such a fresh and seemingly effortless way . It's not easy to capture uncontrived elegance but you do it wonderfully . Loving all these fall fashion apparels! I wish I can wear them in a 365 summer country, Singapore. I love the selection! The dust pink coat is gorgeous!